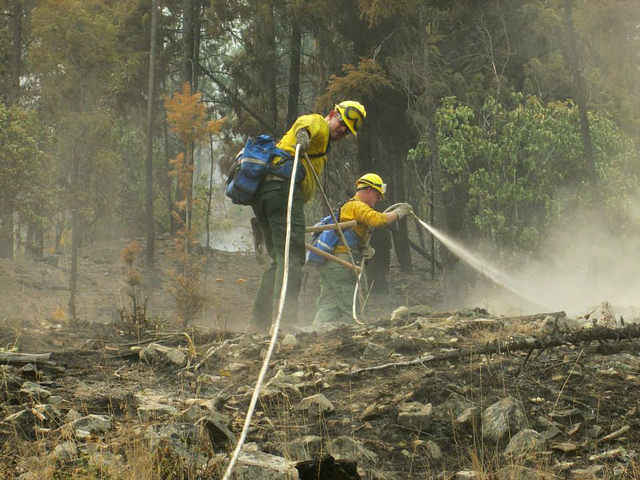 Residents in Eastern Washington are facing increased risk of flooding after extreme wildfires the last two summers destroyed much of the vegetation there that would normally help prevent landslides and mudflows. Flood damage is not covered by homeowner’s insurance. Consumers who want to protect their property must purchase a policy through the National Flood Insurance Program (NFIP). Most properties qualify for NFIP, as long as it is located in a community that participates in the NFIP. NFIP has told to us that Okanogan County and most towns within the county will be able to purchase flood insurance. Typically, there is a 30-day waiting period before your flood insurance policy takes effect. Here is information on how to find an agent near you who sells flood insurance policies through NFIP. Read more about flood insurance: Are you protected against flood damage? Eastern Washington fires burned down much of the vegetation that prevents flooding. Photo courtesy Washington Military Department.